Outdated website, looking for a refresh? Outdated site? Looking for a new, fresh and responsive website design? Let’s talk! We specialise in building beautiful, functional websites that are bespoke to your business and target market. 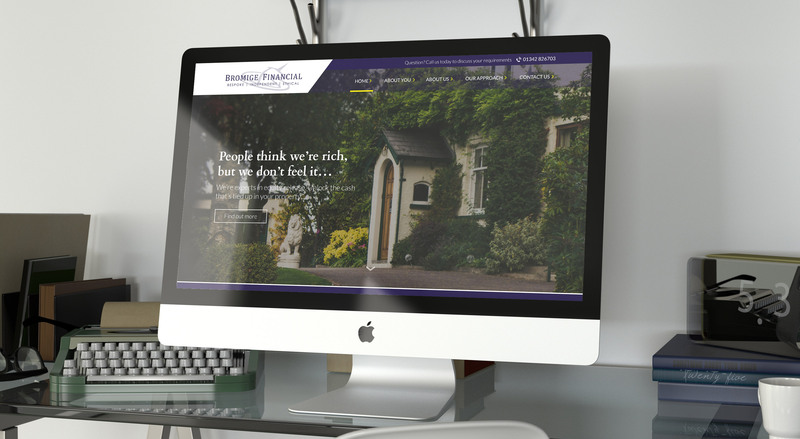 Our Tunbridge Wells based web design and development team has a wide spectrum of experience designing and building websites of all shapes and sizes! With more and more people searching the internet for local services it’s vital your business is out there for them to find. We can work with you on designing your very first website, or perhaps rework a fresh take on your current outdated website design. Some web design 'professionals' think templates are acceptable. We don't! We believe every client deserves a unique, professional website designed specifically to suit the needs of their business. That's what we deliver here from our Tunbridge Wells web design studio. We believe every client deserves a unique, professional website designed specifically to suit the needs of their business. All our websites are crafted by professional Digital Designers and built by seasoned web developers. We favour Drupal as our open source platform to build upon. A proven system that will undoubtedly provide the most stable and well-tested content management platform for your new website. Catering to a range of budgets we’ve previously provided both large-scale e-commerce systems, corporate responsive websites and of course your more typical content management site for small local businesses. Whatever your size or budget, we will be sure to exceed your expectations and provide a high-quality web design service from conception to launch. Want to include special website design features that will help make your business stand out from your competitors? All our sites are built from scratch. Doing this means we can incorporate a vast range of specially designed features and functions. If you’ve got a particular feature you want incorporating into your website then contact us today to discuss your requirements. From interactive photo galleries, use of video, animated aspects, bespoke enquiry forms, blogs, news feeds, testimonial pages, newsletter signups, email capture and visitor tracking, it's all possible! Crane Creative can also design engaging web banners and online ads to showcase your business across other web platforms and forums. Feel free to check out some of our previous case studies and get in touch for a chat about your website design project.